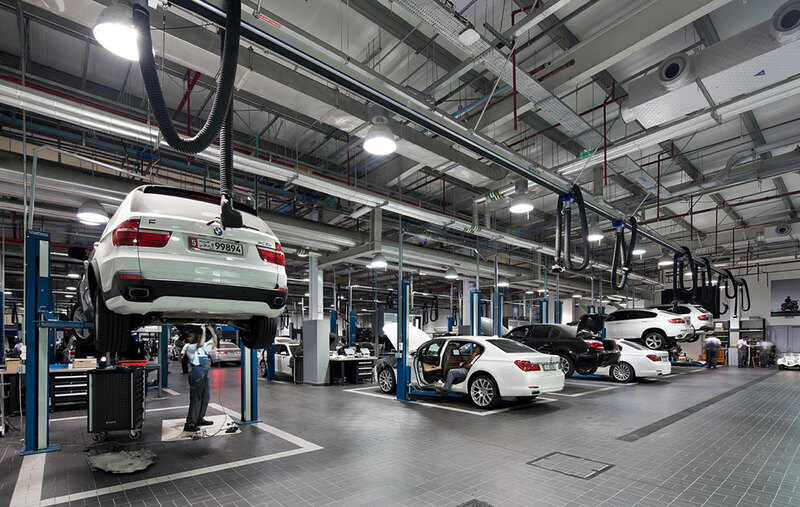 The Abu Dhabi Motors BMW Repair Centre is part of the BMW, Rolls Royce and Mini Cooper showrooms facility in Umm Al Nar, Abu Dhabi. 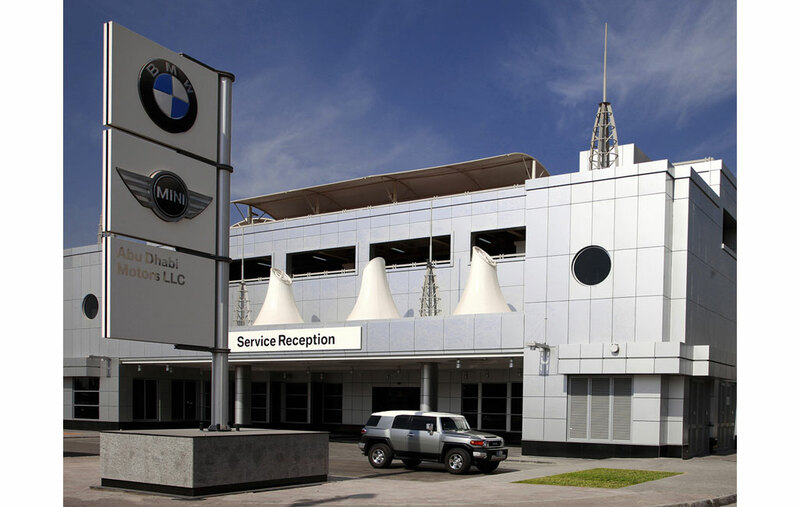 BMW have a strict set of operational requirements and design guidelines for all their repair workshops which comprise body repair bay, painting booth, logistics and car storage areas, spare parts stores, training rooms and service reception. 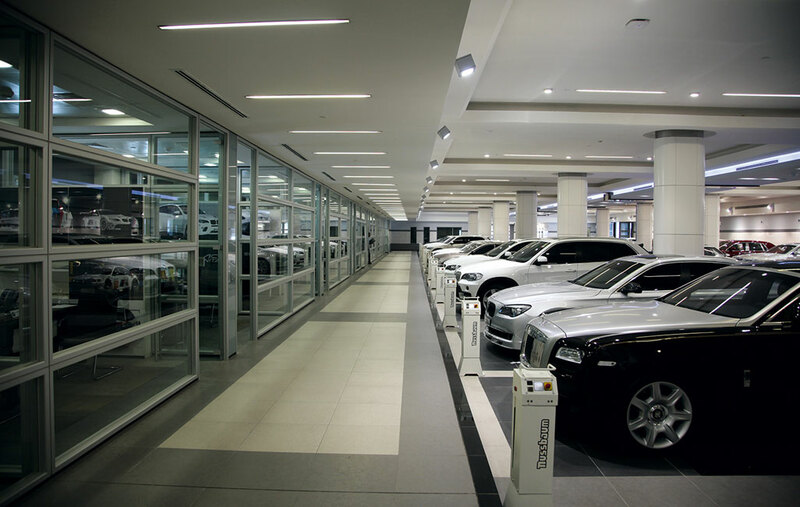 Diar Consult’s design team paid particular attention to compliance with BMW’s design guidelines and commercial branding. 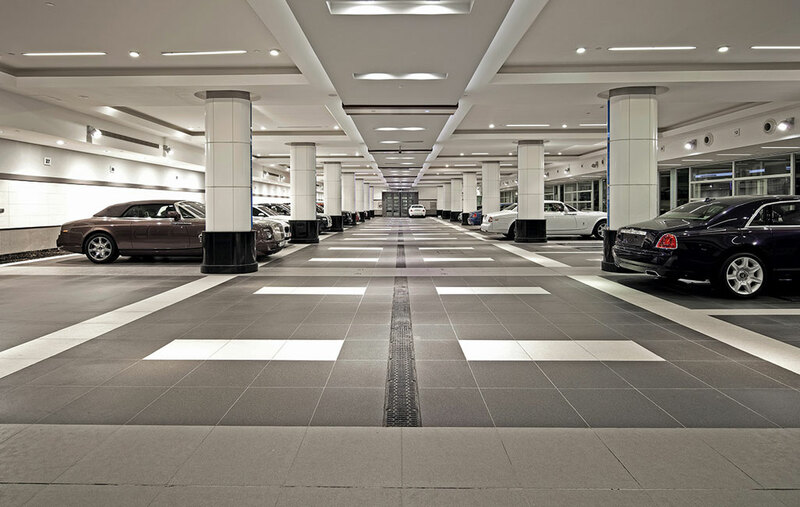 As stipulated by BMW, customer-facing operations and especially the service reception are designed to give the impression of a five-star hotel reception, while respecting the industrial operational characteristics and utilitarian needs of this facility. Crisp and clinical finishes are used in the workshop interiors, aiding the staff to maintain a clean and healthy environment.